This project had a demanding schedule, that CJR Renewables met completely. 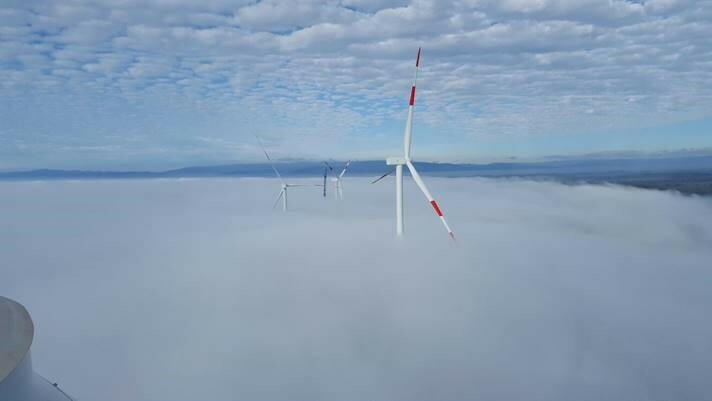 1.8 km of access were built with the reconstruction of a new internal access to the wind farm which the intention was to simplify the access of transport components. CJR also built the control building of the wind farm and four foundations, each of one concreted in twelve hours (800 m3 per foundation). Relatively to the electrical works, CJR made the medium voltage internal line of the wind farm and the connection point to the medium voltage existing line. In the final stage of the project, our client made the appeal to improve the connection of the wind farm to the main road, to comply with the legal requirement of the country.